FOGSI is happy to announce a monthly quiz on its website for all members, an initiative by the President of FOGSI, Dr. Nandita Palshetkar. The quiz master will be Dr Punit Bhojani. 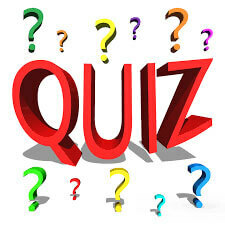 The Quiz will be made live on the website on 15th of every month & will be open for 3 days. Please mail your answers with your contact details (Mobile Number, Complete Address, Email Id & Name as it should be on the Cheque) to fogsiquiz@gmail.com within 3 days of the quiz going live. 3 Cash prizes per quiz (Academic Grants Zuventus Healthcare). The first correct answer will get Rs. 5000, the 2nd will get Rs 3000 and 3rd will get Rs 2000. The correct answer with the names of the winners will be displayed on the website before the next quiz. Decision of the quiz master is final. Question 1. A 16-year-old girl was brought with primary amenorrhea. Her mother mentioned that she started developing breast at the age of 12. She was prescribed O.C. Pills 2 years back by a doctor , but she did not get her menses. She was having normal stature . On examination breast was well developed (Tanner’s stage 5) and pubic hair was minimal (Tanner’s stage 1). What is the diagnosis?